Have you ever tried making homemade pudding with Coconut sugar? if so do you have a recipe? I haven’t ever made pudding with coconut sugar but it’s been on my list for awhile as we love making chocolate pudding pops in the summer time. I did come across this chocolate pudding recipe from Recipes to Nourish and this vanilla pudding recipe from The Healthy Home Economist. Thanks! I’ll give them a try! I have a challenge for you…perhaps you could help me…I want to make a simple snow cone syrup out of coconut sugar with a gluten free/organic flavoring. Coconut sugar doesn’t typically do well with fruit flavors, so what would you do? How could I get a cherry coke or root beer flavor? Or what else would you suggest…I used to make a syrup from 2 cups sugar, 1 cup water, and a kool aid packet and the flavors were limitless, but that obviously wasn’t a good option. I want to use the coconut sugar and water, but am having trouble finding a flavoring I can use that is cost effective and gluten free and organic. Any ideas? Challenge accepted. Let me look into this one more and I’ll get back to you. I made pixie sticks with coconut sugar and freeze dried fruit that I blended in a blender to make a fine powder. I’m thinking there might be a way to make a syrup out of it. Great challenge, thanks! I noticed you said it doesn’t go well with lemon. does that mean if I try to make lemon meringue cookies with it instead of white sugar, it would taste totally gross? I personally had a difficult time with the taste. Personal preference I guess. Since coconut sugar has more of a caramel taste to it, it tends to take away from the taste of the lemon for me. Others haven’t minded so if you try it let me know how it goes and how you liked it. Have a great holiday! I recently found a recipe for raspberry oatmeal bars and it calls for 1/2 cup of coconut sugar but I don’t have any on hand, would I be better off replacing it with white sugar or brown sugar? I think either would be fine but I would prefer brown sugar in an oatmeal bar. Love coconut cream pie. Want to try to make it alittle more healthier for my husband though. He has sugar diabetes. It is an old family recipe that calls for a cup of sugar and 2 cups of coconut flakes. Is this still a heathy combination or changing the white sugar to coconut sugarbe better? How do I replace l cup of packed brown sugar with coconut sugar? The “packed” part seems like it would throw off the equal equivalent. Only use coconut sugar now but ready to do this years canning and unsure about using it in my pickling. I have just switched over to coconut sugar, I am having issues with my cookies. They are not spreading. Any tips.? I have tried 2 or 3 different recipes and it has happened to them all. Coconut sugar is more dense than regular sugar. You can add a tablespoon or two of extra of liquid (milk, melted butter, oil) to see if it helps allow the cookies to spread. Also a note that many readers including myself find that the cooking time is less when using coconut sugar and making cookies. Let me know how it works for you! Any thoughts on using coconut sugar in pumpkin pies this year? Instead of regular sugar? I haven’t tried it but am going to this year. I’m also doing a pecan crust using coconut sugar. I think it will work out fine (cooking time might be decreased a little–coconut sugar seems to cook faster). Let me know how yours turns out! I’ve used coconut sugar in my pumpkin pie for 3 years. It taste great. I’m not exactly sure how baking differs, I just keep a close eye on them! It’s great in Apple pie as well! Thank you so much for letting me know. I am so excited for pumpkin pie and can’t wait to try coconut sugar in it! I’ve tried it with pretty much everything else but pumpkin pie. Have a happy thanksgiving! I love using coconut sugar! I was wondering though, if you could pulse coconut sugar in a food processor to make it not so coarse? Absolutely! I do it all the time. You can also make “powdered sugar” out of it too. Just use a ratio of 1 cup powdered sugar to 1 tbsp cornstarch or arrowroot powder when blending. I want to make a cheesecake using cocnut sugar. Have you done it? Did it change the texture if the cheesecake? Any advice you could give me on this would be appreciated. Thank you. Cheesecake is one that I haven’t done yet (I’ve been off dairy for about six months–miss the cheesecake and am drooling thinking about it) but I have had several people reply with comments on other posts that they have made it before. One thing to do in order to not change the texture of the cheesecake would be to pulse grind the sugar first in a food processor or blender to make it a little more fine. That should help avoid changing the texture of the cheesecake. Let me know how it turns out! Have made any candies with coconut sugar? Wanting to make Christmas Crack any suggestions would be appreciated. Yes, I’ve made caramels with coconut sugar. It is a little bit tough but tastes good. Let me know how it turns out! Looking at some of the pectin websites they state that you can use coconut sugar. Most of the sites recommended blending the sugar in a food processor until finer. Otherwise the pectin binds to the larger sugar granules and causes some clumping. It was recommended that blending or grinding it into a finer consistency eliminated the clumping. Good luck! I make candied almonds with sugar, cinnamon and sea salt. Then I bake for 1 hour in 250 oven. How will the almonds do with coconut sugar? The taste and also the baking. Thank You So Much..
Ha!Ha! It works PERFECT. I know because I just made a batch of candied pecans with all coconut sugar and loved it so much I sent the recipe to my sister in law whose on a special diet. I’ll have our recipe posted soon, but yes, YES it works and tastes AMAZING!!! 🙂 My only suggestion is to mix the egg white and coconut sugar together for a little bit to allow the coconut sugar to dissolve a little. Thank You So Much!! Happy Holidays!! How does coconut sugar do in candies? I want to make Almond Roca. I have found it to work really well, but it can burn easy. I usually start at a little lower temp and stir like crazy! 🙂 Good luck, it sounds like a delicious recipe! Let me know how it turns out. 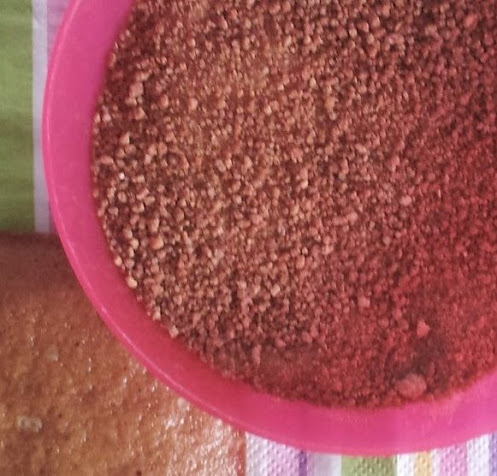 Can you make coconut sugar into a brown sugar consistency by adding something to it? I’m allergic to white sugar and want to make a blueberry crumble that calls for brown sugar. Coconut sugar already has a brown sugar like taste so you should be able to sub it easily. Blueberry crumble sounds delicious!! Let me know how it turns out! Hello. I’m looking to make subsitutions in a recipe that calls for white sugar. Would you use coconut sugar for both or just one? This is a recipe for cookies that also used mashed banana in place of oil. 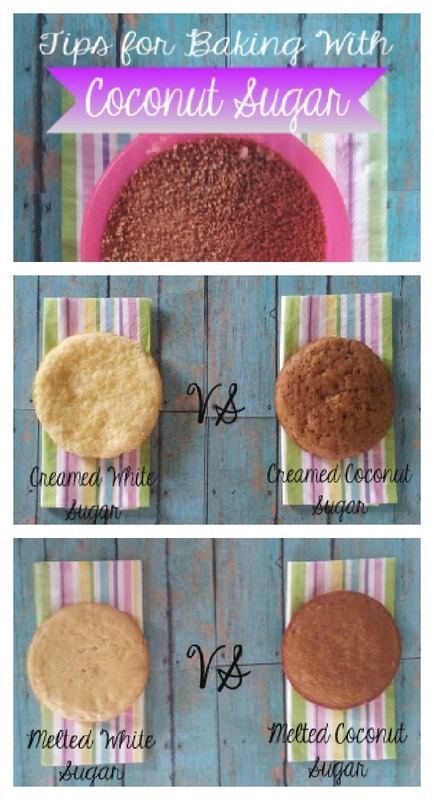 Yes you can use coconut sugar for both or just one. Just use it the same as you would sugar. Let me know how it turns out!